Reliance Jio is offering 10GB additional 4G data per month over 10 recharges to select Asus smartphone users. The additional 4G data will be credited with every recharge of Rs 309 or above for up to 10 recharges until March 31, 2018. Asus is the latest smartphone maker to offer additional 4G data in collaboration with Reliance Jio. As part of the announcement, Reliance Jio will offer 100GB additional 4G data for select Asus smartphones. Last week, Reliance Jio announced a similar partnership with Xiaomi to offer 30GB additional 4G data to select users subscribing to Jio's 4G data. The offer is only applicable to Jio Prime subscribers purchasing eligible Asus devices from June 16, 2017, onwards via online or offline retail channel. The offer is only applicable on Zenfone Selfie, Zenfone Max, Zenfone Live, Zenfone Go 4.5 LTE, Zenfone Go 5.0 LTE, Zenfone Go 5.5 LTE, Zenfone 2, Zenfone 2 Laser, Zenfone 2 Laser 5.5, Zenfone 3S Max, Zenfone 3 Laser, Zenfone 3 Max 5.2, Zenfone 3 Max 5.5, Zenfone Zoom, Zenfone 3 Deluxe, Zenfone 3 Ultra, Zenfone 3 5.2, and Zenfone 3 5.5 smartphones. 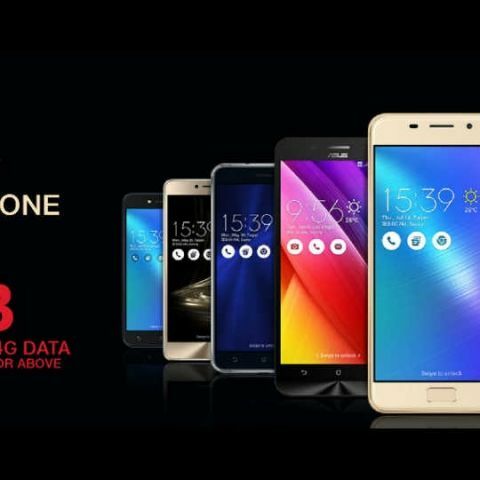 As part of the offer, Asus will offer 3GB 4G data to Zenfone Selfie, Zenfone Max, Zenfone Live, Zenfone Go 4.5 LTE, Zenfone Go 5.0 LTE, Zenfone Go 5.5 LTE users while Zenfone 2, Zenfone 2 Laser, Zenfone 2 Laser 5.5, Zenfone 3S Max, Zenfone 3 Laser, Zenfone 3 Max 5.2, Zenfone 3 Max 5.5 users will get 5GB 4G data. Asus Zenfone Zoom, Zenfone 3 Deluxe, Zenfone 3 Ultra, Zenfone 3 5.2, Zenfone 3 5.5 smartphone users will get 10GB additional 4G data. The additional 4G data will be credited with every recharge of Rs 309 or above for up to 10 recharges until March 31, 2018. As part of Rs 309 recharge, Jio Prime members already get 1GB data per day and unlimited voice calls and SMS benefit. Jio is also offering additional 4G data with the purchase of select smartphones from Samsung, Oppo and Vivo. Reliance Jio users can claim additional 20 percent data by activating the service on an LYF-branded smartphone.